Starting and maintaining a business can be daunting and requires more than just a strong interest in the field. Below are some of the traits and attributes that retail franchisors look for in their franchisee prospects. The operation system of the franchisor has been established, refined, tested and proven in a lot of locations. And because it works, you decide to sign on to become their franchisee. Everything is invented and you just have to ride the wheel and agree to do if you sign the franchise agreement. Every franchisor knows that customers entering any of their retail branches expect the same service or product with that of other branches. Also, they expect the franchisee to provide the service or product in the same way daily. The secret sauce to franchising is replication. But in case you think you have a better idea, don’t hesitate to share that with the franchisor. 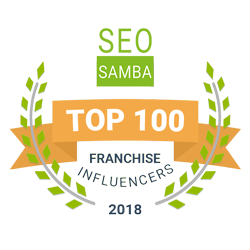 When a franchisor collects your franchise fee, in almost all cases, they earn by getting a percentage of your sales, often between 4% and 8%. When a franchise brand is a club, membership dues are the royalties, necessary to remain in great standing. Failing to pay royalties can put you at risk of losing your rights to operate the franchise. Because you operate the franchise, you take responsibility of everything which can take place at your establishment. So you set the rules, develop values and culture as well as recruit and train people to work in your shop. FranFrog suggests that you lead by example and set the tone for each customer and people. Even if you hire a person to manage your business, you are always the responsible party. For your people to show up to work and customers to buy your offerings, you have to make everybody feel comfortable. In retail, your people are usually young individuals who have little work experience. They need guidance, recognition, training and self-esteem. Show these people that you value them. Their contribution to your business must be recognized. This is also true for customers because your business is nothing without them. Retail is a people business and even a smile can already go miles. Although the franchise is a business in a box, the package does not include customers. It is your job to find them and you have to deal with the tight competition out there. Though you can get support from your franchisor for your opening marketing efforts and a famous brand assures certain level of consumer success, the possibility of your retail location to get big lies in your hands. Do not ignore the importance of social media and technology tools, though you need more in your quest for success. Knocking doors, hitting the streets and personally meeting your neighbors are a must. Your marketing strategy should include going out in the community to take part in local business groups. In order to succeed, you have to show up. Support local community organizations, from spots teams, schools and after-school clubs to hospitals and soup kitchens. Consider setting up a charity jar; rather than, a tip jar. You might get help from a franchise consulting agency to learn how to be a great citizen and instilling such values in your front-line workers. It is important to manage your business on a daily, weekly, monthly and yearly basis. You will learn part of this capability in the initial training where you know the fundamentals of operating a business. Apart from financials, this involves employee schedules, keeping a clean store, supplies and inventory as well as helping workers grow. When your business becomes popular as a good place to work, you will increase a steady increase in the quality of your people along with customer satisfaction and cash flow. This entry was posted in Franchise Consulting Agency and tagged Franchise Consulting, Franchising. Bookmark the permalink.